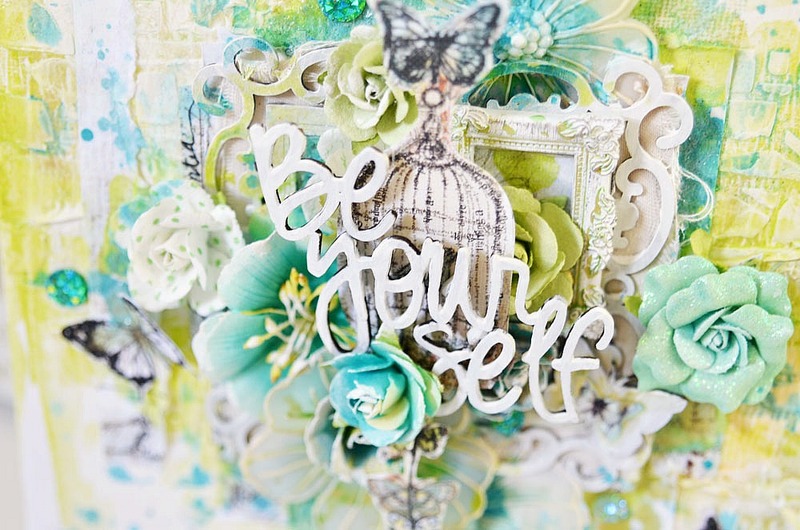 I have used some new product from Prima Marketing and I just love these Vellum flowers. I applied the Shimmerz in Key Lime and Tickle Me Turquoise to the petals and centre of the flower along with some Inklingz in I'm not Limon. I applied the Inklingz to the butterflies, giving them a shimmer. I masked the background with a stencil and used the Vibez sprays in my first layer. 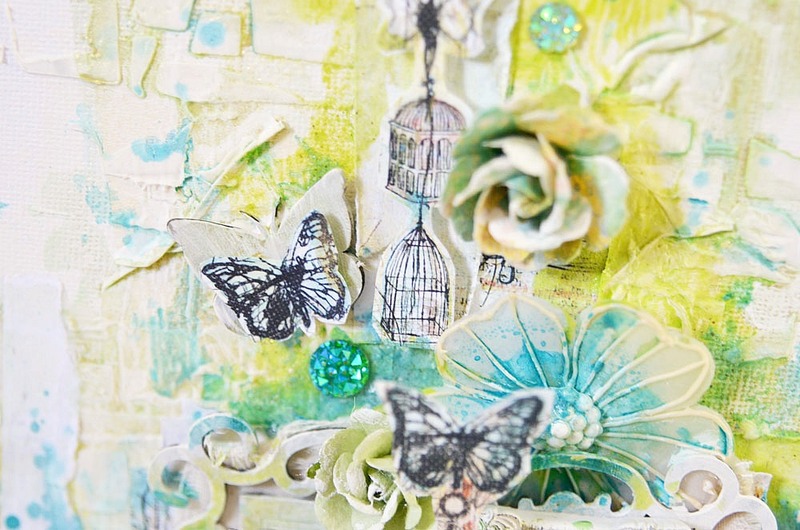 After my embellishments were added on I used a small paintbrush to add more colour around them. 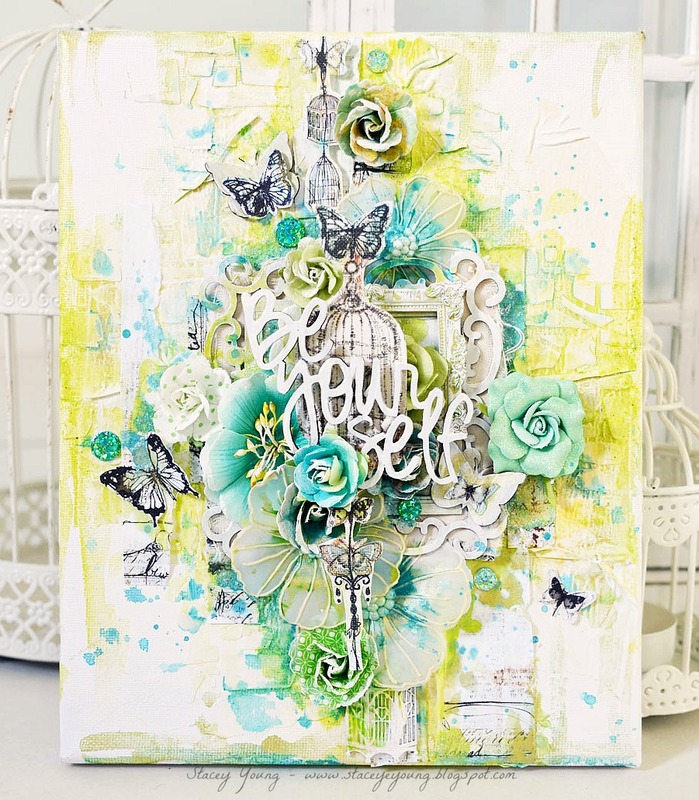 I added more flicks and sprays to some of the embellishments and gave the centre of the flower more colour too. Stunning! LOVE LOVE LOVE IT! Colors are great!!! Wow, this looks absolutely stunning! 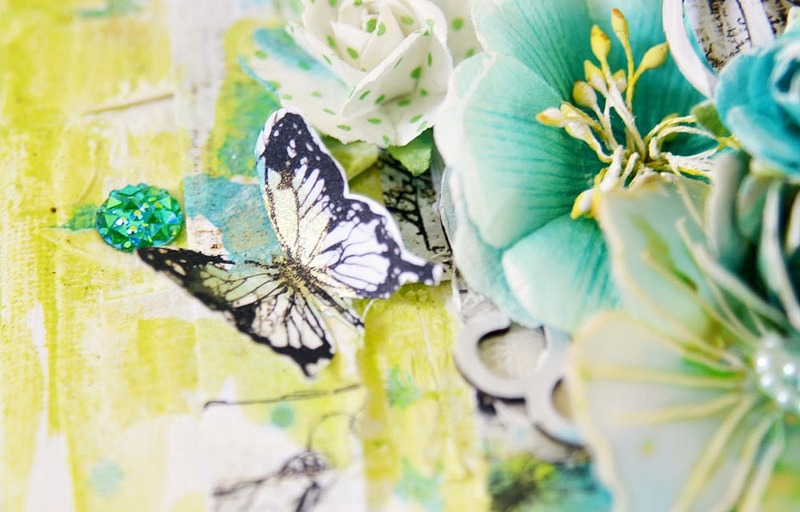 I just love the fresh colours combined with white! 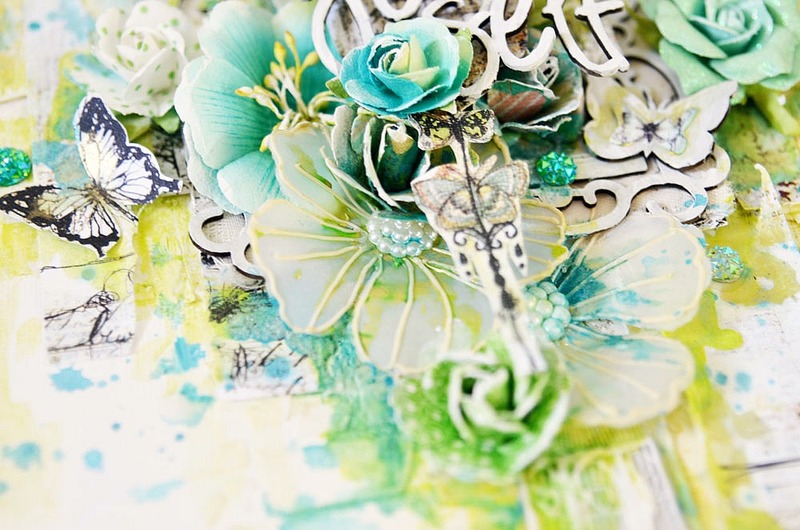 This looks sensational.. love the dimension and layers and those colors together look amazing.. love this..